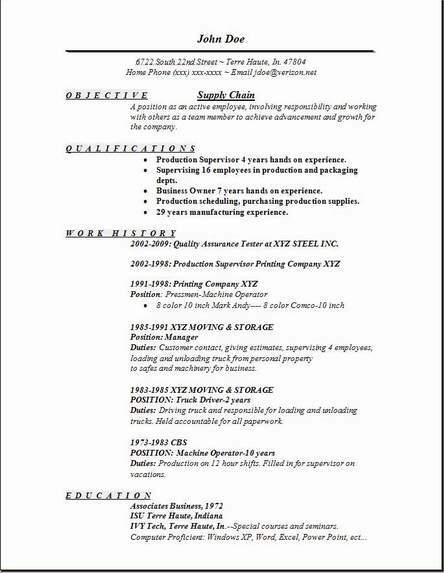 Use these supply chain resume examples and samples as a guide for your own resume creation. They help to present the profile of this job highlighting your key skills in this position. 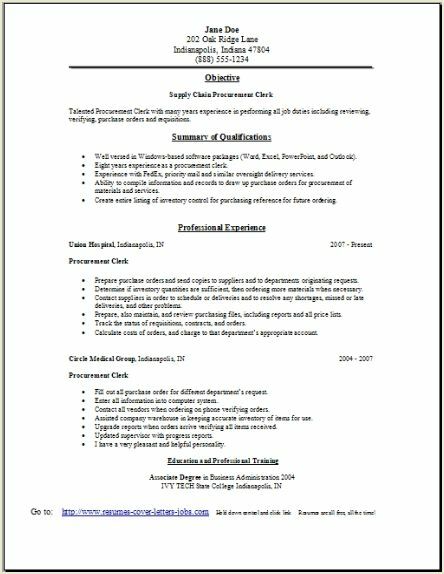 These are great examples to use to get your resume looking good. 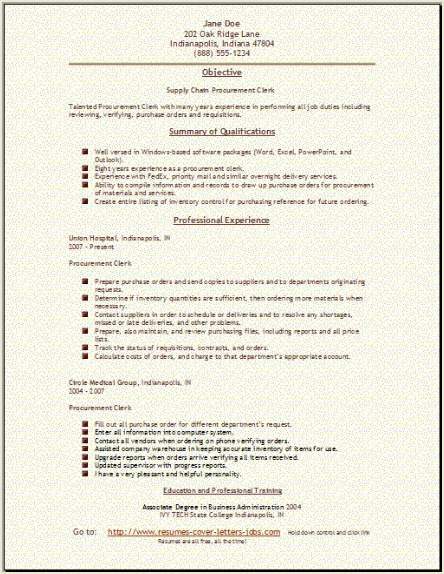 Using these 3 resume formats gives you 3 options for your resume. Procurement clerks organize requests involving materials, they prepare all purchase orders, keeping track of any purchases and all supplies on data sheets, and answer any questions about orders. Another name used to refer to them is purchasing clerks, they will perform many duties related to ordering materials and supplies within a company. They track the arrivals of purchases making sure of the delivery date and that it is the correct order. Automation is a huge part of this occupation. All orders for purchases can be entered electronically. However, not all companies have automation, so the duties of any procurement clerk are still unchanged if working for small companies. Procurement clerks will perform many tasks. Some clerks only have clerical functions, but others, particularly with the small-sized companies, wear a lot of hats. They need to determine what product is available in inventory then search catalogs or go on an Internet search to find the suppliers to fill their orders. They might also write up invitation to bid forms. Interviewing potential material suppliers using the telephone to help check on various prices and all the specifications can be a daunting task, but they can handle this with ease. After all that leg work the company’s approval is needed, then clerks will prepare and mail purchase orders and enter them all into the computer system. Procurement clerks help by keeping track of all the orders and then determine the problems for any delays on the order. and definitely verify that the billing will match all purchase orders that they sent out. Most purchasing departments, in small organizations, take on the responsible of overseeing the company’s inventory system. Procurement clerks will monitor the in-house movement of inventory and also complete any needed transfer forms for accounting purposes of the inventory. They will keep inventory excel spreadsheets updated and in order and then place all orders when any materials are insufficient.